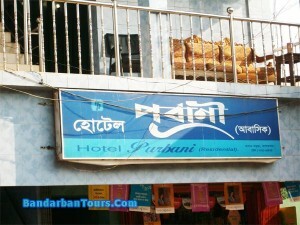 Name of Hotel: Hotel Purbani. Address of Hotel: Hotel Purbani, Bandarban, Chittagong, Bangladesh. Phone Number: +88 01856699910, +88 01856699911. Rent of Room: Price range of Hotel Purbani is approximately Tk. 800-2200/- (BDT). 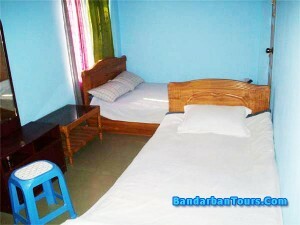 Hotel Purbani is situated at Bandarban Sadar in Bandarban. There is single bed, double bed, couple bed and group bed facilities in this hotel. Starting price of a single room in this hotel is around Tk. 800/- (BDT). Within Tk. 800-2200/- (BDT) traveler can get a room according to his choice. 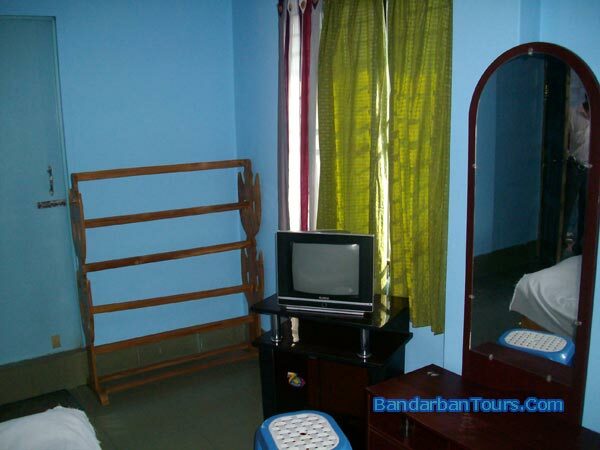 Hotel Purbani has some packages and they manage all food and accommodation of a group of people. In off season traveler will get 20% discount. Hotel Purbani has their own restaurant and they are able to arrange food and other facilities. Checkin and checkout time from hotel Purbani is at 12:00pm. * 15% Service Charge will be added to the room tariff. * Price may vary depending on different factors. For Hotel Booking you can contact with us via phone. @ +88 01856699910, +88 01856699911 or email: info@bandarbantours.com . You can call us at +880 1197397788 for your booking.